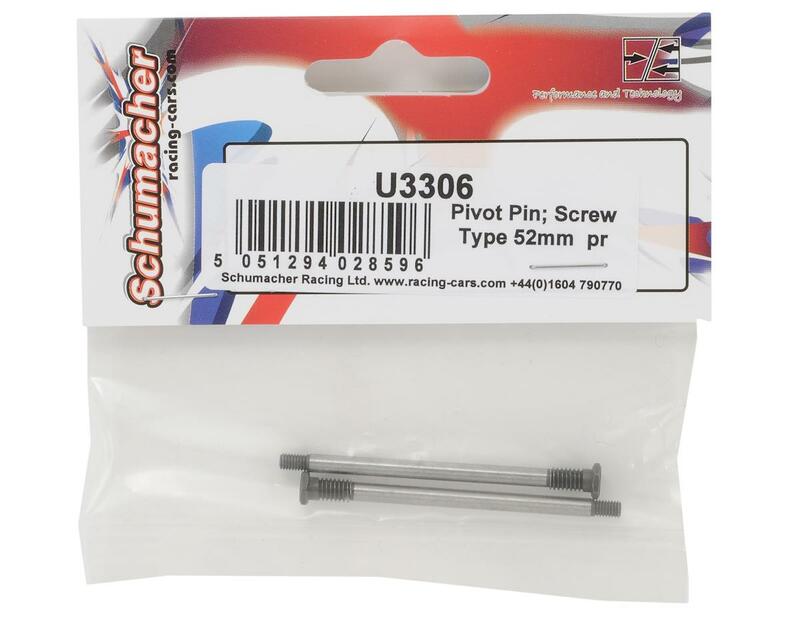 This is a replacement Schumacher 52mm Front Inner Hinge Pin Set, and is intended for use with the Schumacher Cat SX2 1/10 electric 4WD buggy. 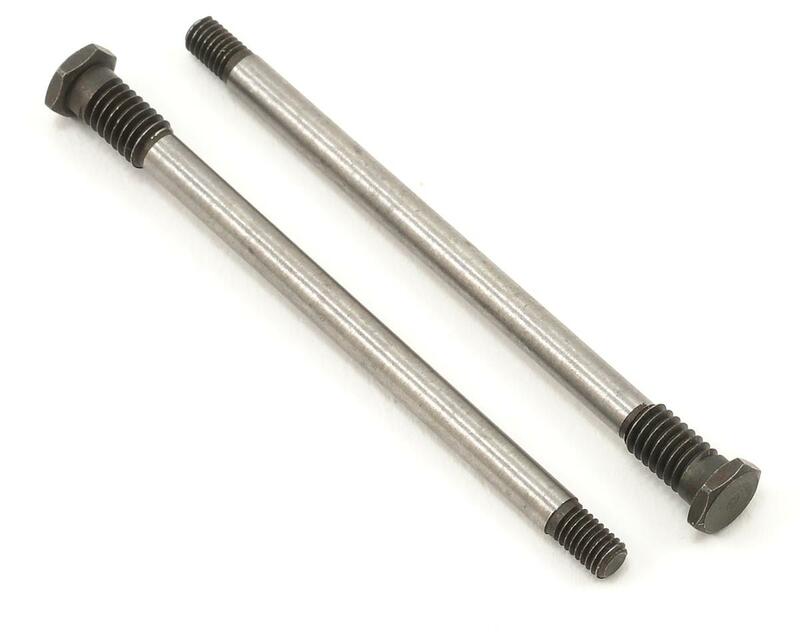 These hinge pins are installed through the front suspension blocks, into the front suspension arms and are captured by a 3mm Nut. These hinge pins are the pivot point for the front suspension arms.